Author: Editor Mervyn Horton, with a large Advisory Panel including James Gleeson, John Brack and Pamela Bell. 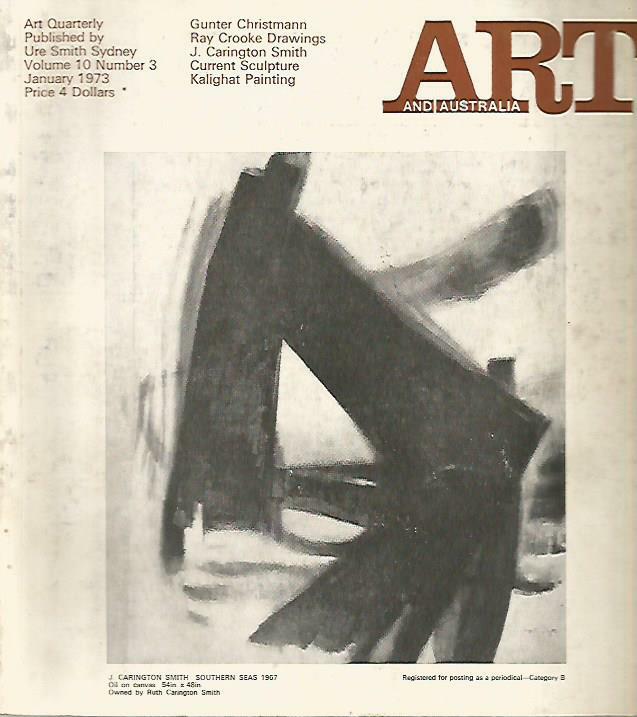 Publisher: Ure Smith, Sydney, Sept 1971, Vol 9 No. 2, softcover magazine-sized quarto without dj, Nos 89- 180 pages., illustrated in colour and b/w. Description: Lloyd Jones Collection, John Krzywokulski, Power Acquisitions, Pierre Bonnard, Italian Sculpture. Publisher: Ure Smith, Sydney, June 1971, Vol 9 No. 1, softcover magazine-sized quarto without dj, 88 pp., illustrated in colour and b/w. Condition:Crisp card-bound softcover with titles to spine, STRAIGHT & TIGHT, in GOOD CONDITION with slight rubbing to cover. Glue residue to last page, occasional rubber stamp mark including cover. Publisher: Ure Smith, Sydney, Jan 1973, Vol 10 No. 3, softcover magazine-sized quarto without dj,from 203 to 291 pp. Nos., illustrated in colour and b/w. Condition:Crisp card-bound softcover with titles to spine, STRAIGHT & TIGHT, in GOOD CONDITION with minor rubbing marks to cover ( See scan). Author: edited by Dion H Skinner, research by John Kroeger of Brighton, South Australia, a RARE copy intended to be an annual publication. 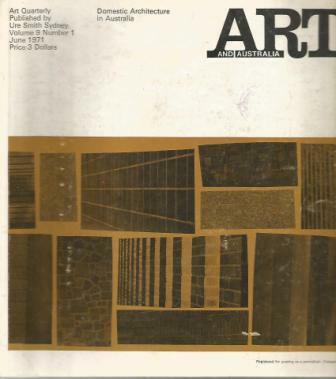 Publisher: published by Renniks & Co., Adelaide, S.A. 1968, 1st Edition, a thick volume of unpaginated lists of artists whose works have been accepted by public galleries. Condition:Blue cloth-bound hardcover with bright gilt title to spine, straight & tight in Good Condition, sturdy with tight binding, in an edgeworn dustjacket which is unclipped. With auction prices for 1968/9. Publisher: Lansdowne Press, Sydney, 1986, reprint from 1976 ed., 1st pub. in 3 vols. 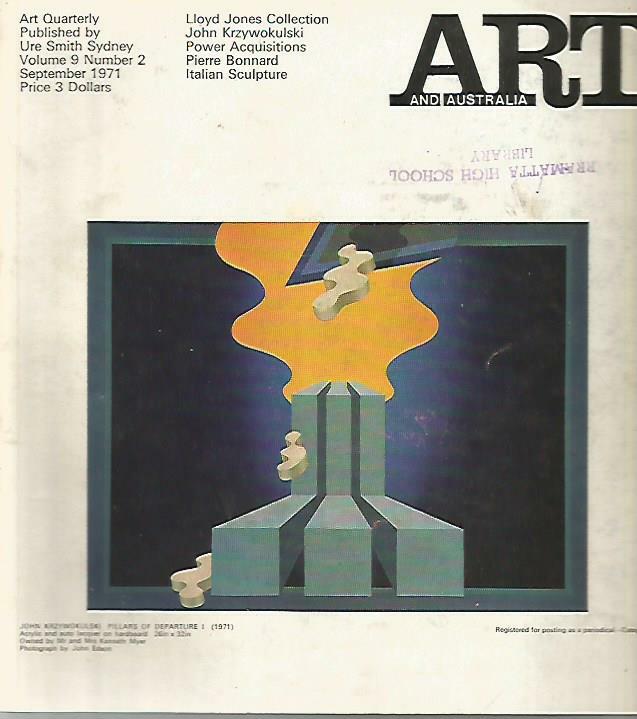 1971, hardcover small quarto with d/j, 392pages, COLOUR PHOTOGRAPHS of ARTWORK throughout. 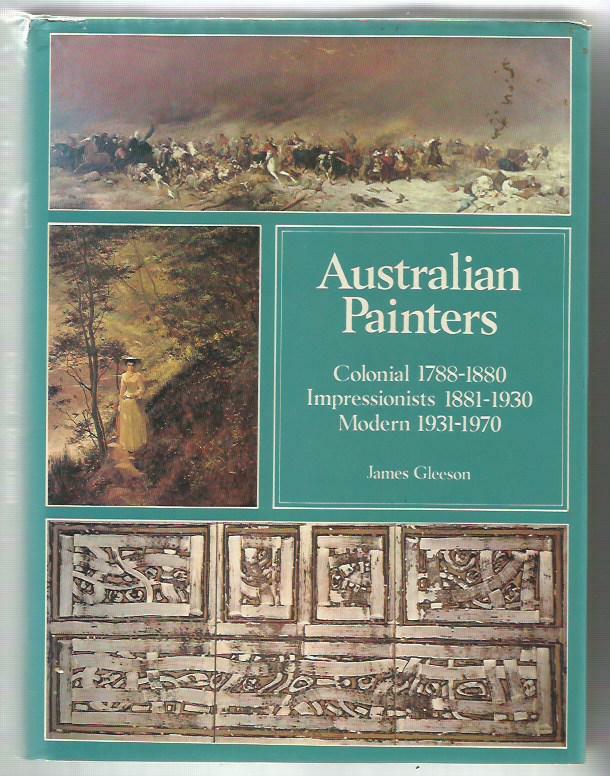 Description: This book contains over two hundred and forty colour reproductions of paintings by more than one hundred artists. The paintings range from the first known oil painting in Australia by convict Louis Watling, and those of the colonial painters and on . Description: At his best Dobell must be considered one of the few great portrait painters of the twentieth century, and this collection of 5 books on and by him shows the extent of his amazing body of work. All five books are in GOOD CONDITION. Publisher: British Broadcasting Corporation, London, 1980, First Edition, hardcover 4to with d/j, 423 pages, COLOUR & B/W ARTWORKS throughout, 8 Chapters, Bibliography & INDEX. Condition:Cream/white cloth-bound hardcover with title to spine & old tape marks to covers, rubbing to spine & corners, no inscriptions, CLEAN & TIGHT in GOOD CONDITION, old tape marks to endpapers with slight foxing, in a clipped GOOD DUSTJACKET with tape marks. Description: The abruptly-changing face of modern art has variously puzzled, or exhilarated the world at large. Robert Hughes reveals the pattern that lies behind this ceaseless change - why art had to take the forms it did, and why it had to keep moving on. Publisher: W. D. & H. O. WILLS - Branch of the Imperial Tobacco Company (of Great Britain and Ireland), Limited. Condition:Illustrated stiff-card covers with two staples to spine, title and illustration to frcvr, foxing to covers & slightly throughout, illustration to inside frcvr & floral illust. around cards. 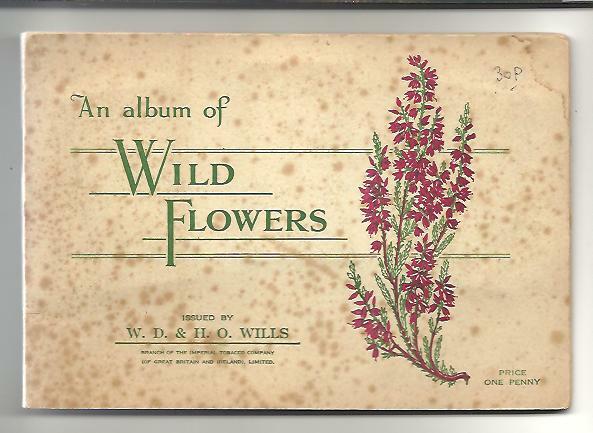 Description: A complete set of 50 cigarette cards of Wild Flowers with the cards being in good condition. A collector's dream! !